Ready to dive straight into PPC nerd mode? Let’s get right to it—handling your company’s PPC campaign can be tricky when you’re manually managing your PPC bids yourself. If you’ve considered bid management software for your advertising campaign, here’s a closer look at 3 of the most successful software programs. PPC stands for pay-per-click. This is a form of Internet marketing in which an advertiser will pay a small fee each time a visitor clicks on their ads. In its most basic form, PPC is a way to buy visits to your site. When done properly, this can be an effective way to draw consumers to your site instead of earning visitors organically. The magic happens when you begin bidding for keywords. Are you losing revenue or gaining conversions with your bidding efforts? What keywords related to your business are folks searching for? What time of day are your competitors bidding, and what exactly are they bidding for? Trying to manually manage your bids can feel like shooting at a target blindfolded as you attempt to stay ahead of the game. This is where automated bid management software can help. With the right bid managing software, you’ll have the resources you need to achieve the conversion you’re after—for the lowest price possible. Bid managing software allows you to set up a monthly budget for how much you would like to spend on paid clicks. And instead of spending hours every day monitoring your bids, you can sit back, relax, and let the software take care of all the little details for you. The good news? Most software programs have reporting tools so you can easily track what kind of return on investments you are receiving. It’s like taking the blindfold off and shooting on target. 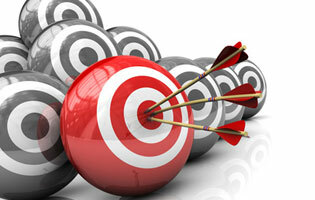 Target the right keywords with bid management software. Bid management software is specifically designed for the automatic controlling of bids in search engine marketing (SEM). Using bid management software allows for search terms (keywords) to be managed via various paid search providers like Kenshoo, Marin Software, and WordStream. Automated bid management software uses scientific algorithms to filter through and apply changes to your ad group bids and keywords. This can free up some serious time and is an effective way to manage bids. 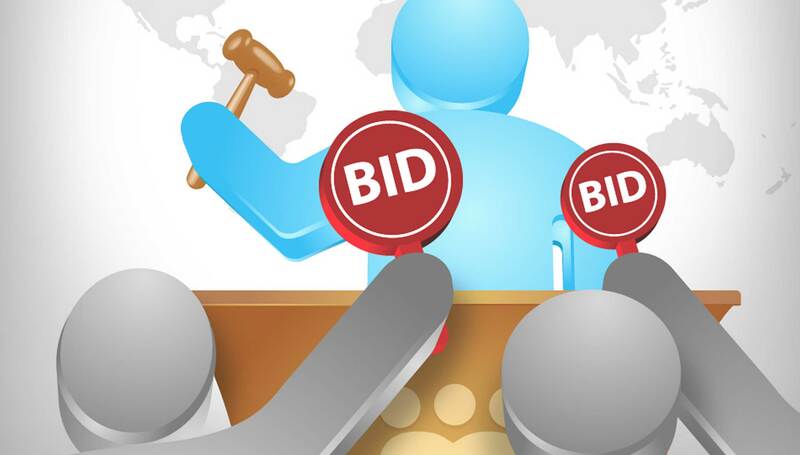 Bid management software strategically handles all the tough bidding for you. Using a third-party bid management tool such as Kenshoo, Marin Software, and WordStream gives you greater flexibility. You receive a personalized dashboard that allows you to create custom filters for most of your PPC channels, such as AdWords, Facebook, Bing Ads, etc. These filters can be based around different types of data such as Google Analytics, native reports, and more. One thing to note—since there are so many options available for advertisers, there can be a bit of a learning curve here. Next, let’s take a look at the top 3 in bid management software. With Kenshoo, you’ll spend less time managing your bids and more time actually profiting from them. There are several innovative tools available that will help you succeed in your advertising. With Kenshoo Portfolio Optimizer,you can easily adjust your bids per your end goal. This will allow you to gain the absolute maximum results for what you’re paying. And with Kenshoo ActiveCluster, you receive expert keyword-level predictions and bidding, even if you have a lower campaign volume. According to a report, “The Forrester Wave™: Bid Management Software Providers, Q4 2012”, Kenshoo is the top leader. This independent research firm evaluated 5 companies against 19 criteria to see how they measure up for managing paid search media. In its findings, the Forrester Wave™ reported that Kenshoo received top scores in campaign creation and workflow, keyword identification, testing, local media, ease of use, and much more. To put it simply—Kenshoo is top dog. Kenshoo is a top leader in bid management software. Marin’s red carpet moment was the unleashing of their Advertising Cloud. The Advertising Cloud brings everything together under the same umbrella. It’s a single platform designed to manage data, campaigns, bidding, reporting, and optimization across the major ad channels of search, social, and display. The Advertising Cloud allows you to take action on all aspects of valuable marketing data—this makes managing a campaign a breeze. With the help of the Advertising Cloud, you could see an increase in revenue when it comes to your campaign’s bidding. It’s like watching the dollars rain down. Marin Software’s Advertising Cloud brings everything into one easy-to-manage platform. WordStream makes online advertising easy. Their masterpiece 20-Minute PPC Work Week program makes it a cinch for advertisers to manage bids in only a few minutes each week. The software is a blend of complex algorithms, best bidding practices, and the advertiser’s goals and objectives tossed together to come up with a perfect PPC mix. PPC software: WordStream Advisor is a program that assists companies with optimizing the money they spend on paid search (Google, Yahoo, and Bing). This works to convert leads into paying customers. Free Graders: WordStream offers a free AdWords Performance Grader. For those using Google AdWords, you’ll receive a report card with recommendations on how to achieve better results. WordStream’s bidding tool also provides intelligent keyword bid-change recommendations and looks for ways to strategically cut bids instead of suggesting that you drop more Benjamins to increase bids. Since they manage the campaigns for The Huffington Post, USA TODAY, and The New York Times, you know they’re doing something right. Learn how to manage bids in under 20 minutes a week with WordStream. All 3 of these bid management software platforms offer unique tools that are designed to help your brand succeed. However, managing a large campaign can be a tedious battle, and it’s only too easy to allow things to slip through the cracks without a large team of experts to help. Instead of paying for the software, save yourself the cash and invest in a marketing company that utilizes the bidding software you’re after. Having a management platform that can make adjustments to your campaign is critical for any large company’s overall success. Allow a team of PPC experts to manage your large campaign for optimal results. Unsure where to start? Contact a professional PPC strategist at OrangeSoda. We’ll handle your bid management and help your campaign to yield lucrative results.